Flatforms have been very popular and repeatedly spotted on celebrities. 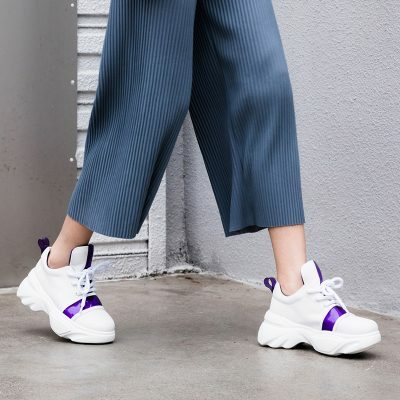 Combining flats and platforms, flatforms shoes elongate your legs with casual cool feel, adding edge to your effortless daily looks with a playful touch. Flatforms shoes work with almost anything, whether it’s a feminine dress, skirt, cool separates or simply jeans. You can keep it casual, semi-formal or glamour, everything depends on your mood and usual looks. Ready to have some changes in your wardrobe? Check out the latest flatforms collections at Chiko Shoes.